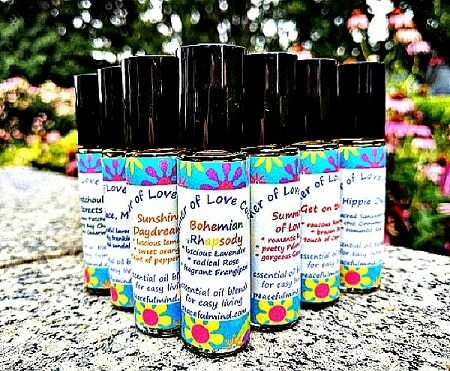 In honor of the 50th Anniversary of the “Summer of Love” and all that San Francisco’s Haight-Ashbury has come to stand for, we have taken the best of the season, era and time and created our exciting line of 100% pure Angel’s Mist Essential Oil blends, paying homage to the magic, influence and power this experience has become known for! 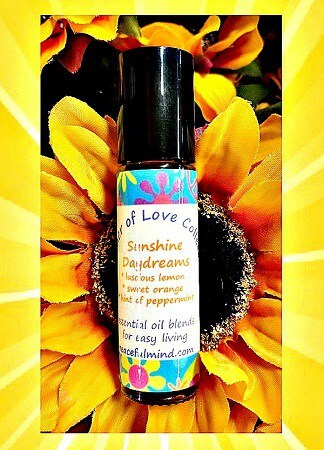 ~ These wonderfully scented oils come in 1/3 oz (10 ml) ounce roll-on bottles and contain genuine herbs and flowers in vibrationally compatible 100% pure essential oils. 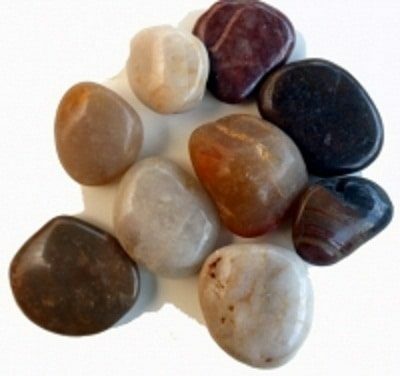 They are fantastic as a daily perfume, a feel good energizer, soothing yoga practice, personal energy healing, or as an Aura balancer or simply as a “refresher” for your mind, body, & spirit! 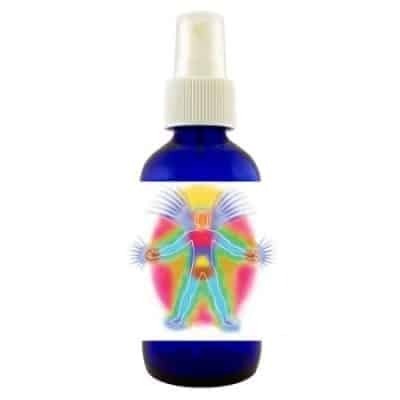 Andrew has created each essential oil blend from his Angel’s Mist 100% Pure Essential Oils in a base of jojoba, almond or grapeseed base oil. If you are too young to remember or too old to forget, we encourage you to take the best of this journey, as it has been captured through the power of scent! 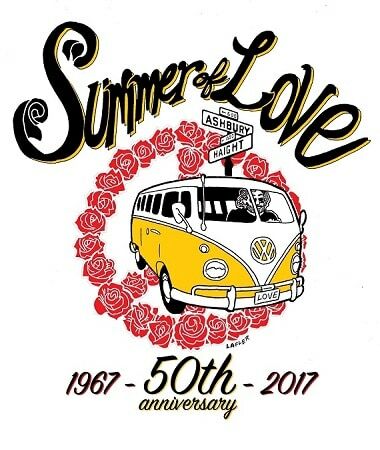 The Summer of Love was a social phenomenon that occurred during the summer of 1967, when as many as 100,000 people, sporting hippie fashions and counter-culture behavior, converged in San Francisco’s neighborhood of Haight-Ashbury. These “flower children”, were an eclectic group, many suspicious of the government, rejected consumerist values, and generally opposed the War. A few were interested in politics; others were concerned more with art (music, painting, poetry and dance) or religious and meditative practices. ~O~ Sunshine Daydream: Bright and sunny California is captured in this cool and laid back feel of sunshine days, beach and surf and daydreaming car trips along the PCH! We blend luscious Lemon, sweet Orange and a hint of Peppermint. ~O~ Peace, Man: It’s all good, when we tell you, there is nothing more essential in your life than peace of mind! With this, you can achieve anything. No resistance. Let it be and let it go! 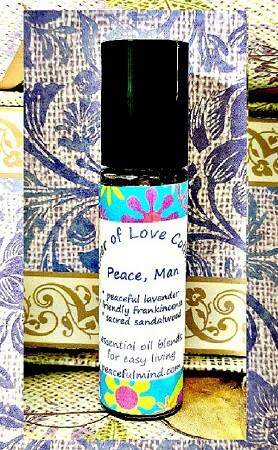 We blend peaceful Lavender, friendly Frankincense and sacred Sandalwood. ~O~ Get on the Bus: join the movement with this essentially radical, herbal blend! Get in line and stand up for something you believe in! We blend raucous Rosemary, brazen Basil and a touch of Cannabis oil! 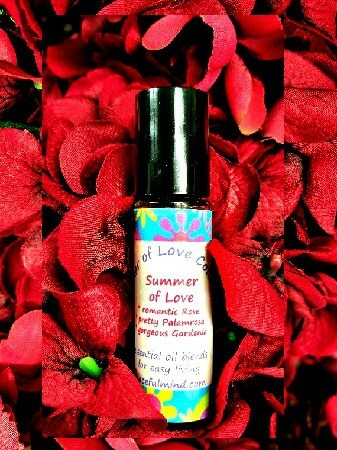 ~O~ Summer of Love: Let your hair down with this over the top embodiment of pure, unconditional love, romance and a zest for life! 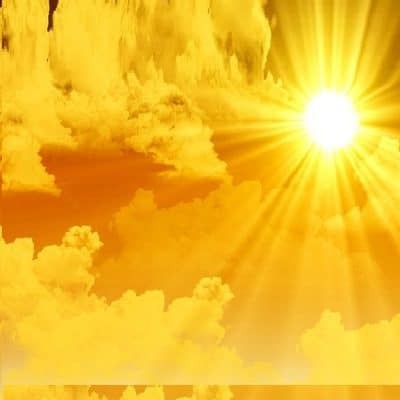 Enjoy this “endless summer” with the greatest power in the Universe, baby! We blend romantic Rose, pretty Palamrosa and gorgeous Gardenia. 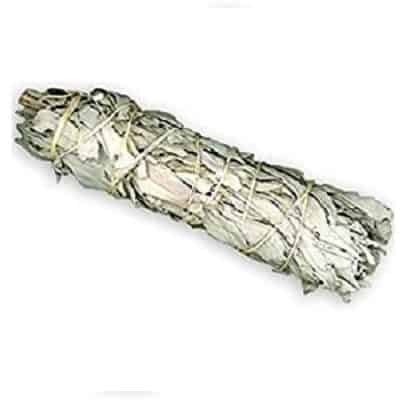 ~O~ Patchouli Streets: Light up some incense, break out the Nag Champa and take life, one day at a time with this rich and earthy blend that keeps us grounded, yet not really concerned. “Where you are now, is just where you need to be.” We blend precious Patchouli, warming Nag Champa and sacred Cedarwood. ~O~ Hippie Chic: The movement that started it all. This personal style and boho living defined a generation. “Be sure to where flowers in your hair”, and get comfortable in this lifestyle! 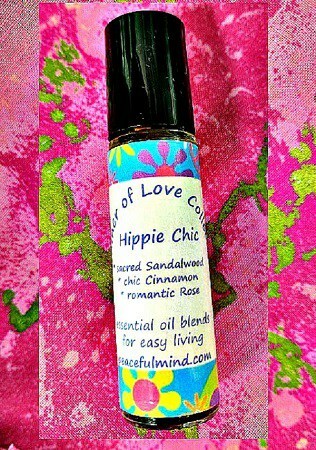 We blend sacred Sandalwood, chic Cinnamon and romantic Rose. 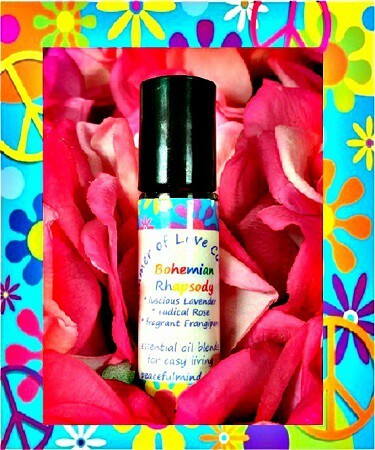 ~O~ Bohemian Rhapsody: blends a menagerie of flowers together to create a sweet, yet potent and fabulous potpourri of scent that lets your inner “flower child” come out! We blend luscious Lavender, radical Rose and fragrant Frangipani flower.